You need a resource you can depend on when it comes to your utility vegetation management. At ACRT, we walk the lines for you so you have a reliable, safe, and well-trained partner to give you recommendations and inspections you can rely on. Our consulting utility foresters (CUF) perform identification, inspection, and evaluation of trees and brush along utility lines and submit inspections results to the client with recommendations. We become your liaison for planning and directing the activities of assigned tree clearance crews, dealing with customers on your behalf along the way. Finally, we can uphold quality with audits of work completed. 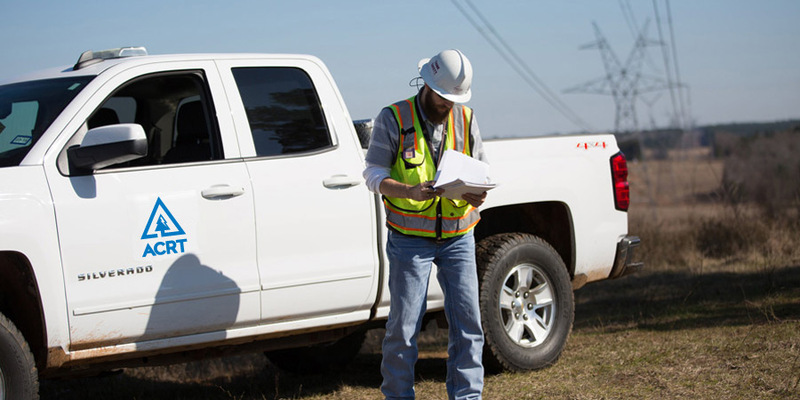 We put safety first, always, so you know that everything from our patrols to our approach to outage investigations follows a protocol that ensures the job is done correctly. In addition to putting safety first, all ACRT utility foresters are trained continuously. We encourage our CUFs to attain certifications through the International Society of Arboriculture and provide memberships to the Utility Arborist Association. Managing ACRT Arborist Training, the largest licensed arboriculture training organization in North America, our team is well-informed on techniques and regulations, accurate in their reports, and adaptable in the field. ACRT always has been, and always will be, about one thing: people. It’s about our employees, our customers, and the communities our customers serve. We empower the best people to help sustain our world. We’re the only independent national vegetation management consulting firm — giving us the freedom to put our clients first. Learn more about how we’ve helped our clients reduce costs and improve reliability.